We say, do more of what makes you happy….drink coffee and eat Nutella! 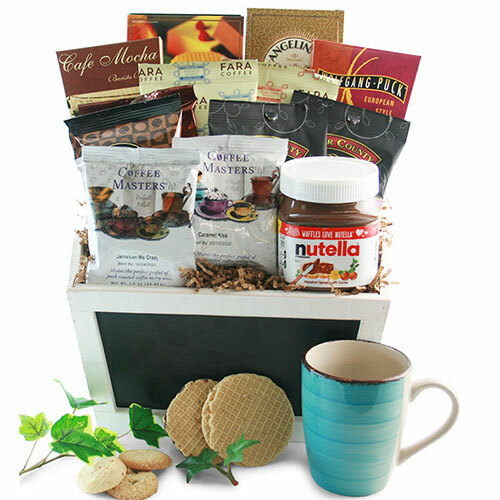 Your lucky recipient will be greeted with a delightful combination of Nutella and a bountiful collection of assorted gourmet coffees. It’s a match made in heaven!